Dirac C is a project of Austin, Texas' James Adkisson, formerly of Seven Percent Solution and A Five And Dime Ship. On this, his debut solo effort, Adkisson explores what can be done with just a guitar and effects pedals and comes up with seven unique tracks that journey down just as many different paths of music. The twisted noise introduction of Edison! Exclaimed the Demon opens things up before the piece morphs into a dark and throbbing stomp filled with strange textures and a distorted and menacing melody. She Sobbed Steel, on the other hand, is a chilling and minimalist excursion into spacey glitchcore. Rise and Fall, with its deep layers of sound, is a like a shimmering, psychedelic symphony that takes the listener on a ride into a warm and hazy storm of whitewashed noise. Briar Rose combines soft finger picking with gentle flowing melodies and spacey, organic textures for an evocative trip into Adkissons mellower side. The avant-garde Landscape With Yellow Birds presents a striking contrast to the previous song, though, with its experimental sound collage set to insistent tapping. Roller Coaster Bridges adds drums to the mix (the only track on the album that utilizes any instrument other than the guitar) for a mind-bending turn into the realms of space rock. And finally, ending things off is Baltha's Rings, a lengthy ambient dronescape, dotted with spine tingling guitar shrieks. It's amazing all the different sounds Adkission manages to get from his guitar, but even more amazing is how he combines them into pieces that range from tranquil beauty to nightmarish howling, and how he somehow gets them all to work together. 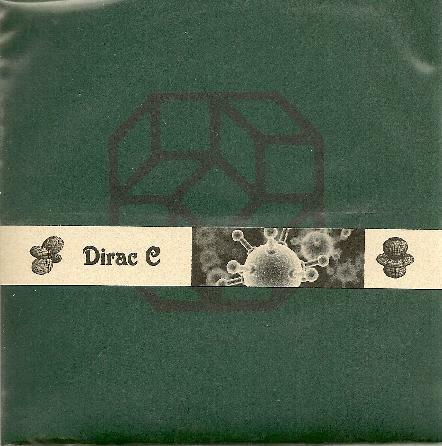 Dirac C is an exotic voyage, which despite its challenging concept remains quite a listenable expedition into the outer realms of the sonic universe.